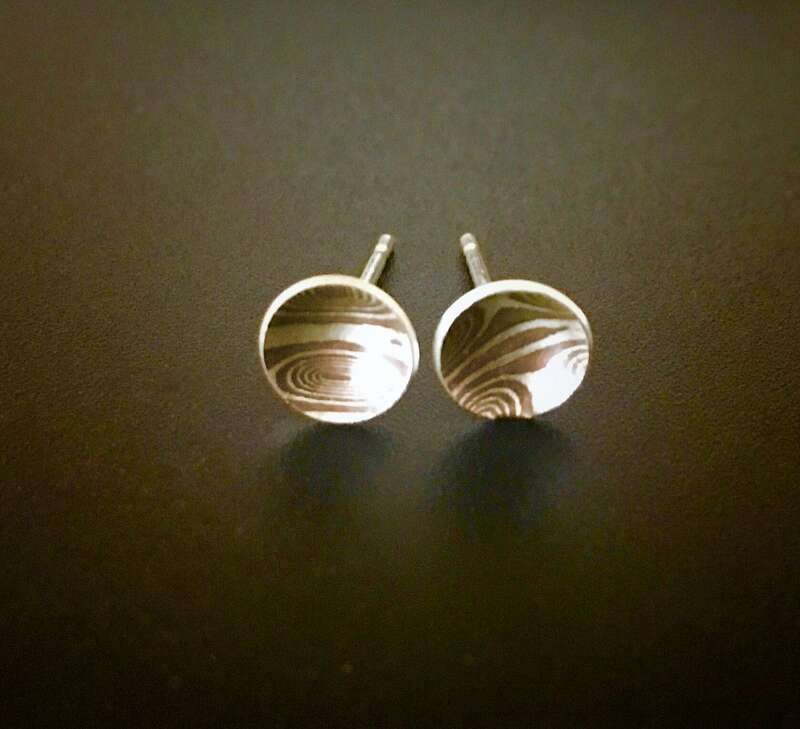 Subtle and versatile stud earrings feature concave discs of Mokume Gane in Sterling Silver and Copper. Mokume Gane is a traditional Japanese metalworking technique with distinctive patterns created with laminated mixed metals. Sterling Silver posts & nuts. Please allow for slight variations of pattern.